Administrative Law Judge (ALJ) Darrell Lepkowsky, Office of Administrative Hearings (OAH), State of California, heard this matter in Downey, California, on October 24–27, 2011, at which time the ALJ heard sworn testimony and received documentary evidence. Vanessa Jarvis, Attorney at Law, of the Special Education Law Firm (SELF), appeared on behalf of Student’s mother (Mother) and Student. She was accompanied each day of the hearing by student advocate James Campbell, who also works with SELF. Mother also attended the hearing each day. Eric Bathen, Attorney at Law, of the Law Offices of Eric Bathen, represented the Downey Unified School District (District). He was accompanied on all hearing days by attorney Jordan Meyer. Attorney Marcia Brady from Mr. Bathen’s law offices was also present at times during the hearing. Nancy Matthews, a District program administrator for special education, attended the hearing on all days as the District’s representative. Student filed a Request for Due Process Hearing (complaint) in OAH case number 2010100321 (first case) on October 7, 2010. On March 8, 2011, the District filed a complaint in OAH case number 2011030557 (second case). OAH consolidated these two cases on the District’s motion on March 14, 2011, and continued the due process hearing. On May 12, 2011, Student filed a complaint in OAH case number 2011050579 (third case). On May 16, 2011, at the prehearing conference (PHC) originally scheduled for the first two cases, OAH granted Student’s unopposed motion to consolidate the third case with cases one and two, and to continue the due process hearing for the consolidated matter. OAH designated case number 2011050579 as the primary case for the consolidated matter, indicating that the 45day timeline for issuance of a decision in the consolidated matter would be based on the date of the filing of the complaint in that case. Eleven witnesses testified at the hearing: Mother, Nancy Matthews, Patricia Fuentes-Garcia, Rose Boland, Kristy Overturf, Na Nguyen, Carey Smith, Christine Alcan, Janet Cross, Wendy Carey, and Julie Helm. On October 27, 2011, at the close of the last day of hearing, the ALJ granted the parties’ request for a continuance to file written closing arguments. Upon the timely receipt of the written closing arguments on November 10, 2011, the matter was submitted and the ALJ closed the record. Student’s complaint in OAH case number 2011050579, filed May 12, 2011, raises issues beyond the two-year statute of limitations, specifically, whether the District denied Student a free appropriate public education (FAPE) during calendar year 2008. At the prehearing conference held in the consolidated matters on October 12, 2011, the Administrative Law Judge convening the PHC directed Student to present evidence at hearing relative to exceptions to the two-year statute of limitations, as set forth in 20 U.S.C. section 1415, subsection (f)(3)(C) and (D), before presenting evidence or argument concerning the remainder of Student’s allegations against the District. The ALJ stated that the two-year statutory period for all cases began two years prior to the filing of Student’s first complaint on October 7, 2010. Student, therefore, was directed to present evidence supporting his contention that he was entitled to an exception to the two-year statute of limitations for all allegations in his complaint relating to procedural and substantive violations of his rights which may have occurred prior to October 8, 2008. A request for a due process hearing must be filed within two years from the date the party initiating the request knew or had reason to know of the facts underlying the basis for the due process request. (Ed. Code, § 56505, subd. (l).) This time limitation does not apply to a parent if the parent was prevented from requesting the due process hearing due to either: 1) specific misrepresentations by the local educational agency that it had solved the problem forming the basis of the due process hearing request; or 2) the withholding of information by the local educational agency from the parent that was required to be provided to the parent under special education law. At the beginning of the hearing in this matter, Student stated that he was entitled to a waiver of the statute of limitations based upon misrepresentations by the District as well as the withholding of information from Mother. Specifically, Student contended that the District had failed to provide Mother with a copy of the special education procedural safeguards at his initial individualized education program (IEP) meeting convened by the District on February 19, 2008. The undersigned ALJ then informed the parties that she would first hear testimony regarding the existence of any exception to the statute of limitations and would make a decision as to whether Student had met his burden of proving an exception before proceeding to hear testimony on the issues framed for hearing. Student presented Mother’s testimony in support of his contention that the District had not given her a copy of the procedural safeguards at Student’s initial IEP on February 19, 2008. The District presented the testimony of Program Administrator Nancy Matthews, who testified to the contrary. After hearing the testimony of both witnesses, the undersigned ALJ determined that she could not make a ruling on the issue without hearing testimony from Patricia Fuentes-Garcia, the District school psychologist who had prepared Student’s initial assessment plan and provided the plan to Mother. The District arranged for Ms. Garcia to testify on the first day of the hearing. As discussed more fully below, based on the testimony of all three witnesses, the ALJ determined that the District had timely provided Mother with a copy of the procedural safeguards and that the second exception to the statute of limitations thus did not apply. The ALJ also found that Student had failed to present any evidence regarding whether the District had made misrepresentations that it had solved any problem forming the basis of Student’s due process requests and therefore the first exception to the statute of limitations did not apply either. The ALJ found that Student had failed to prove he was entitled to an exception to the statute of limitations. Therefore, the ALJ ruled that only allegations of violations occurring on or after October 8, 2008, would be addressed during the instant due process hearing. The issues in this case, except as noted below, are those raised in the parties’ respective complaints as clarified with the parties at the prehearing conference. 1 All issues arise under the Individuals with Disabilities Education Act (IDEA) found at title 20, United States Code, section 1400 et seq. and related state statutes. At the PHC on October 12, 2011, the assigned ALJ dismissed Student’s proposed Issue 5 (Section 504 of the Rehabilitation Act of 1973), Issue 6 (Americans with Disabilities Act), and Issue 7 (discrimination and retaliation under title 42, United States Code, section 1983) because OAH lacks jurisdiction over those issues in a due process proceeding under IDEA. Also, although a statute of limitations issue was not expressly identified in either of Student’s complaints, it is encompassed in Student’s allegations regarding calendar year 2008, which facially exceed the statute of limitations. Accordingly, Issue 1, regarding the statute of limitations, has been added for clarity. Whether there is an exceptions to the two-year statue of limitations because the District did not provide Mother with a notice of procedural safeguards at Student’s initial IEP meeting on February 19, 2008? The District failed to provide Student with the 100 minutes per week of English language development as listed in Student’s IEP? The District failed to assess Student in all areas of suspected disability, including assistive technology, a functional analysis assessment for behavior, fine motor skills, gross motor skills, occupational therapy, hearing and vision. The District failed to hold an annual IEP team meeting for Student in calendar year 2009? The District’s September 2010 IEP failed to include: (i) assessments in all areas of suspected disability, including assistive technology, a functional analysis assessment for behavior, fine motor skills, gross motor skills, occupational therapy, hearing and vision, (ii)a discussion of placement alternatives for Student with Parent; and (iii) a determination of Student’s present levels of performance for speech and language? The District failed to implement the September 21, 2010 addendum IEP from January 1, 2011, through April 2011? For the two years preceding the March 8, 2011 filing of its complaint herein, was the District required to have implemented the placement and services offered in the Student’s initial, annual, triennial, and/or addendum IEP’s, wholly or in part, because the Parents failed to provide consent? Are the District’s proposed assessment plans of March 2010 and November 23, 2010, appropriate assessments for evaluation of Student and is the District permitted to assess Student in accordance with the proposed assessment plans, even though Parents have failed to provide consent to assess? Student requests that OAH issue an order that the District provide him with compensatory education and services in the areas of English language development, speech and language, counseling, and one-on-one resource specialist services. Student also requests an order that the District place a full-time one-on-one behavioral aide in his classroom, that the District hold an individualized education plan meeting to establish goals and objectives for him, that he be placed in a general education classroom, and that District staff receive training on the requirements for implementing an IEP. Student further seeks an order that the District provide him with independent educational evaluations in a number of areas of suspected disability. Finally, Student seeks an order mandating the District to send a letter to all special education children in the District acknowledging that it has sometimes failed to adhere to IDEA rules and regulations, and providing parents of these students with a list of attorneys and advocates who are available to assist parents with filing due process claims. In the District’s case, District seeks an order that it was not required to implement Student’s IEP’s because Student’s parents never consented to them in whole or in part. The District also seeks an order that it its assessment plans of March and November 2010 are appropriate and that it may assess Student according to the plans, although Student’s parents have not consented to them. 1. Student is a seven-year-old boy who was born on October 6, 2004. He is presently in the second grade. He has a twin brother and several older siblings. At all times relevant to the allegations in this case, he resided with his parents within the District’s boundaries. Student is presently eligible for special education and related services under the primary category of other health impairment (OHI), with a secondary category of speech/ language impairment (SLI). His eligibility is not at issue in this case. 2. Student was a client of the South Central Los Angeles Regional Center (Regional Center) prior to enrolling in the District at age three. The Regional Center had diagnosed Student with mixed receptive-expressive language disorder and provided him with speech and language services. 3. Just before Student turned three years old, the Regional Center determined that Student no longer qualified for Regional Center services because he did not have a developmental disability or any disability closely related to mental retardation. The Regional Center referred Student to the District for assessment 2 based on his speech and language deficits. Parents were informed of the Regional Center’s determinations in a letter dated October 2, 2007. 4. Student’s father (Father) enrolled Student in the District on October 2, 2007, the same day Student’s parents received the Regional Center’s letter denying Student further services. On the enrollment form, Father indicated that although Student first learned Spanish when he began to talk, English was the language Student used most frequently at home and was the language that Father and most of the other adults in the home used when speaking to Student. 5. Based upon the referral from the Regional Center, the District conducted an initial intake interview of Mother on October 18, 2007, to identify what might be Student’s suspected areas of disability. A District staff member filled out a District “Preschool Search and Serve” form based on information provided orally by Mother. Mother indicated that although she was able to understand Student’s speech, other people were not able to do so. She also indicated that Student only became frustrated and cried when other people could not understand what he was saying but that he did not become aggressive or frustrated with playmates. Mother further indicated that although Student could not yet dress himself, he was able to feed himself with utensils, use a cup, pedal a tricycle, and was in the process of being toilet-trained. 6. Mother indicated that her primary concern regarding Student, and thus her reason for contacting the District, was Student’s speech deficits. 7. Based upon the referral from the Regional Center and the information obtained from Mother during the intake interview, the District scheduled Student for an assessment. The matter was referred to school psychologist Patricia Fuentes-Garcia 3 for preparation of the assessment plan. Ms. Garcia reviewed the information in the Regional Center letter as well as the information Mother provided during her intake interview and determined that it would be appropriate for the District to administer a psycho-educational assessment and a speech and language assessment to Student. 8. Ms. Garcia contacted Mother by phone and arranged for Mother to come to the District offices on November 26, 2007, to review the assessment plan. Ms. Garcia explained that unless a parent needed more time to review the assessment plan, the District would generally conduct the assessment the same day the parent came to the office and signed the plan. In Student’s case, Mother signed the assessment plan on November 26, 2007, and Student was assessed the same day. Ms. Garcia gave Mother a copy of the special education procedural safeguards when she gave her the assessment plan to review. 9. Mother also completed a Developmental History Parent Questionnaire on November 26, 2007. In it, she indicated that her key concern regarding Student was his inability to speak clearly and the fact that he became frustrated easily because he couldn’t speak clearly. Mother wrote “none” in the space provided for explaining other problems or concerns she might have. The only other concerns Mother indicated on this form were that Student was overactive and had tantrums when he could not express himself. Mother also indicated that Student was polite, always smiling, played well with other children, and was well-coordinated. 2 California uses the term “assessment” in lieu of “evaluation.” The terms mean the same and are often interchanged within special education. 3 Ms. Garcia has a master’s degree from National University and is licensed by the State of California as a school psychologist. 10. Ms. Garcia administered the psycho-educational assessment to Student by observing him, having him engage in play-based activities, interviewing Mother, and reviewing the records the District had for Student, including the developmental history form Mother had completed. 11. During her interview, Mother indicated to Ms. Garcia that Student’s fine and gross motor skills appeared age-appropriate since he was able to hold a crayon and scribble, string beads, climb, and play ball. Mother told Ms. Garcia that her concern for Student was his difficulty with speech and language. She also informed Ms. Garcia that both English and Spanish were spoken in Student’s home. 12. Ms. Garcia conducted her assessment of Student in English. Student was focused during the assessment and appeared interested in demonstrating his strengths. Student had a normal attention span during the evaluation and was able to follow directions. Ms. Garcia’s assessment covered the areas of Student’s cognitive functioning, language skills, sensorimotor skills, adaptive behaviors, social and emotional development, and academic readiness. 13. No warning signs or “red flags’ appeared to Ms. Garcia during her assessment of Student. Based upon Mother’s replies on the developmental history form, Ms. Garcia determined that Student’s adaptive skills were about normal for his age and gender. Although Mother indicated that Student could not dress himself, it was not expected that a child of three would be able to do so. Ms. Garcia determined that Student’s behaviors suggested he had low average to average non-verbal cognition. 14. Student was able to imitate drawing horizontal and vertical lines and a circle, held a pencil with a tripod grip, and was able to complete two-piece puzzles, indicating that his visual spatial integration and fine motor coordination skills were in the normal range as well. Student was able to run, jump, alternate feet up and down stairs, all of which indicated that his gross motor skills were also in the normal range. 15. However, Ms. Garcia did note that Student had speech and language delays along the lines of the concerns expressed by Mother. As discussed below, the speech and language assessment administered to Student confirmed the deficits Ms. Garcia noted. 16. Mother had informed Ms. Garcia that she believed Student’s pre-academic skills could be better because Student did not appear interested in school-related activities or books. However, when Ms. Garcia observed Student during the assessment, she found that he could successfully complete table tasks, demonstrated good imaginary play skills, did not require much redirection, demonstrated good problem-solving and reasoning behaviors, attended well, followed directions, and was respectful. Student responded to his name, could identify body parts on himself, demonstrated a knowledge of items of clothing, and was working on getting better with identifying colors, shapes, numbers, and letters, in spite of the fact that Student had never attended pre-school. 17. Ms. Garcia’s assessment demonstrated that Student’s non-verbal cognitive skills were in the low average to average range and that his academic readiness skills were commensurate with his assessed ability level. Student’s social/emotional skills were developing normally, and his adaptive skills, other than in the area of speech and language, were also age appropriate. Ms. Garcia stated that Student’s skills would continue to emerge as he was exposed to school and speech therapy. 18. Student presented no evidence at hearing that Ms. Garcia’s assessment was not appropriate or that her findings were incorrect. 19. Speech and language pathologist (SLP) Christine Alcan 4 assessed Student in the area of speech and language. Her assessment consisted of an interview with Mother, a review of Student’s records, including the developmental history form Mother completed, informal assessment activities and clinical observations, administration of portions of the Clinical Assessment of Articulation and Phonology, and administration of the Preschool Language Scales-4 (PLS-4). Neither Ms. Alcan’s assessment nor her conclusions or recommendations are at issue in this case. 20. Although Student had significant exposure to Spanish while in the care of baby sitters, English was primarily spoken in his home. During the speech and language assessment, Student’s spontaneous speech and responses during formal testing in the assessments were all in English. Ms. Alcan did most of her testing in English since she found English to most accurately reflect Student’s speech and language abilities. 21. Based upon Student’s performance on the PLS-4, Ms. Alcan found that Student’s receptive language skills were moderately delayed. 22. Student demonstrated several developmental errors in his production of speech that were normal for a child of his age and gender. However, he also demonstrated other speech errors that were of concern. He produced only a few words, which were primarily consonant and vowel combinations. Student also had some difficulty with motor sequencing of sounds in words, as well as inconsistent errors with the production of the same word. Ms. Alcan therefore found that Student’s articulation and phonological skills were moderately delayed, with a possibility that oral-motor sequencing might also be an area of deficit. Ms. Alcan also found that Student’s expressive language skills exhibited a moderate to severe delay. 23. Ms. Alcan recommended that speech and language therapy be considered to address Student’s deficits in speech production, and expressive and receptive language. 24. The District convened an initial IEP meeting for Student on February 19, 2008, to review the results of the assessments and determine if Student qualified for special education and related services. The IEP team consisted of Mother, Ms. Alcan, Ms. Garcia, and Program Administrator for Special Education Nancy Matthews. 25. The IEP team determined Student’s present levels of performance based upon the assessment results and input from Mother. The team noted that Student had no vision or hearing or other health concerns at the time. The team noted that Mother’s concerns continued to be her desire that Student progress in his speech and language and comprehension. 26. The IEP team determined that the only deficit Student evinced was in the area of speech and language. The team therefore found Student eligible for special education and related services under the category of speech or language impaired. Mother agreed with this determination. 27. The District does not have any general education preschools. Student did not present as a child requiring placement in a special day class (SDC) preschool since he had no developmental delays or signs of autistic-like behaviors, no vision or hearing deficits, and had no orthopedic or other physical deficits that might have necessitated special education instruction. Therefore, the IEP team found that the only special education service or intervention Student required was that of speech and language therapy. The District offered Student two, 50-minute sessions a week of speech and language therapy to take place at the District’s preschool language clinic, which was then located at Columbus High School. The offer of services is clearly indicated on the first page of the IEP. The IEP notes indicate that the location of services was at Columbus. 28. As stated above, Student’s parents had indicated on various District developmental history forms and enrollment forms that both Spanish and English were spoken to Student. Although Student demonstrated during the assessment process that he was more comfortable speaking English, the District was obligated to identify Student as an English language learner or bilingual student because of the information provided by parents. 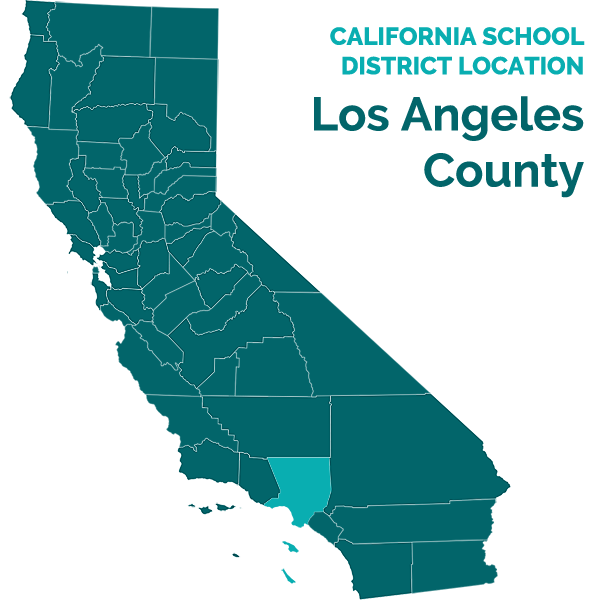 The District therefore offered Student English language development instruction (ELD) in the IEP. However, since Student did not require an SDC, the District team members explained to Mother that Student’s ELD instruction would be integrated into his speech and language therapy. For that reason, the amount of minutes indicated for both services was the same. 29. The IEP team also developed two speech and language goals for Student. The first goal was in the area of receptive language. The goal reiterated Student’s present levels of performance. It called for Student to be able to “follow 10, two-step directions given occasional visual prompts as measured by work samples achieving a criteria of 80% for a period of 2 weeks . . . ” by January 19, 2009. 5 The goal contained two short-term benchmarks. The goal was to be implemented by the SLP or other classroom staff. It also indicated that Student’s progress would be reported three times a year through progress reports. 30. Student’s second goal was for articulation and speech pronunciation. It also reiterated Student’s present levels of performance in that particular area. The goal stated that by February 19, 2009, Student would “produce 10 Consonant-Vowel-Consonant words given occasional multimodal prompts as measured by work samples achieving a criteria of 80% for a period of 2 weeks . . . ” The goal contained two short-term benchmarks and was also to be implemented by the SLP providing services to Student or other classroom staff. 31. Both goals addressed all of Student’s unique needs known to the IEP team at the time of the IEP team meeting. Both goals were measurable and provided a means to measure progress toward the goals. Student presented no evidence at hearing that the District was on notice that Student had other unique needs not addressed by his IEP. Student presented no evidence at hearing that the goals in this IEP were not appropriate, that they were not measurable, or that they were not designed to assist Student in overcoming his speech and language deficits. 32. Mother did not request any other services for Student, did not question the provision of speech and language therapy at Columbus, did not ask for another location for the services, and did not ask for clarification as to where the ELD services would be provided or question the fact that ELD would be integrated into Student’s speech and language therapy. Mother did not give any indication to the District that Student’s English skills were deficient or that the ELD services proposed by the District would not meet Student’s needs. Mother signed the IEP. 33. Student contends that an exception to the two-year statute of limitations applies because he alleges Mother did not receive a copy of the special education procedural safeguards (identified as “special education due process rights” on the District’s IEP forms) at the February 19, 2008 IEP meeting. Mother testified that she did initial the space on the IEP document which states “I have been advised of and given a copy of special education due process rights.” However, she testified that the District staff did not have any copies of the safeguards with them. She stated that Nancy Matthews asked her to initial anyway and that someone would send Mother a copy of the safeguards after the meeting. Mother testified that she does not recall if she ever received the promised copy. Mother recalled that she had received considerable paperwork from the District when first enrolling Student, but she could not recall what the paperwork was or how much of it there was. She also was unable to recall if she was given a copy of the safeguards at the time she signed Student’s initial assessment plan. 5 The goal’s reference to January 19, 2009, as the date Student would meet the goal is apparently a typographical error since Student’s annual IEP date was February 19, 2009, which is the date indicated in Student’s second goal. 34. Nancy Matthews 6 attended the IEP meeting as the District’s administrative designee. She testified that parents of children who are referred to the District for special education consideration are first given an enrollment package to complete. Once the parents have completed it, if the student is under age five, the student is assigned to the District’s early intervention assessment team. A team member schedules an appointment with the parents. At this appointment, parents are given a copy of the procedural safeguards along with an assessment plan to review and sign. Ms. Matthews did not recall telling Mother at the initial IEP meeting that she would send her a copy of the procedural safeguards at a later date. She stated that this would contravene her normal procedures as she gives a copy of the safeguards to parents at the beginning of every IEP meeting. 35. As stated above, Patricia Garcia was the District staff member who developed the initial assessment plan for Student and contacted Mother to arrange for the assessment meeting. She testified that she follows the same procedures with each student’s assessment process: she contacts the parents, arranges a meeting date, develops an assessment plan, and presents the plan and the procedural safeguards to the parents at the beginning of the meeting with them before she even discusses the assessment plan. Ms. Garcia did not specifically recall the meeting with Mother but stated that she has never deviated from these procedures either with regard to developing assessment plans, arranging the meeting with parents, or presenting them with a copy of the safeguards. 36. Ms. Garcia is an experienced school psychologist who has had the responsibility of initiating the assessment process for District preschool children for a number of years. She was a thoughtful witness; her demeanor was open and she readily admitted to not specifically recalling her meeting with Mother. Her testimony did not appear forced or contrived and was consistent with the testimony of Ms. Matthews and Ms. Alcan with regard to the procedures to be followed in presenting parents with copies of the procedural safeguards. 37. Mother was also a sincere witness. However, the persuasiveness of her testimony with regard to if and when she received a copy of the procedural safeguards was undermined by her lack of clear recollection. For example, Mother stated that she could not recall what documents she was given when she and Father first enrolled Student in the District. She could not recall that she had filled out enrollment papers and that she had responded to a developmental history questionnaire about Student. Mother could not recall if Ms. Garcia had given her a copy of the procedural safeguards and she could not recall if she received a copy of them subsequent to the February 19, 2008 IEP meeting. Ms. Garcia’s testimony was therefore more persuasive than Mother’s. 6 Ms. Matthews has a master’s of science degree in Educational Administration, and a number of special education credentials. She has worked with the District since 1980, first as a special education teacher, then as a teacher specialist, and, since 2004, as the Program Administrator for Special Education. She has attended hundreds of IEP meetings over the course of her career. 38. Student appears to take the position that the District was legally required to give Mother a copy of the safeguards at every IEP meeting. As discussed in the Legal Conclusions, the law does not presently require that and did not require it at the time of the February 19, 2008 IEP meeting. Ms. Garcia persuasively testified that she gave Mother a copy of the safeguards because she gives a copy to each parent when she presents them with the initial assessment plan. Mother was not able to dispute this. Therefore, the evidence shows that Mother had received a copy of the safeguards prior to the February 19, 2008 IEP meeting. Even if she was not given the safeguards at the meeting and did not receive a copy subsequent to it, she had already been notified of her rights before the IEP meeting occurred. The District did not withhold from Mother any information that it was legally required to provide to her. Student, therefore, failed to prove that he was entitled to an exception to the two-year statute of limitations. 39. Since Student failed to prove an exception to the statute of limitations, all of his allegations that the District violated his rights prior to October 8, 2008, are beyond the applicable two-year statute and not cognizable in this hearing. Therefore, Student’s Issues 2(a), 2(b), 2(c), and 2(d) above are dismissed. 40. Both the District and the Regional Center recommended to Mother that she enroll Student in a preschool program so that he would be able to interact with peers, improve his language skills, and be exposed to pre-academic skills. There was no indication that Student required a special day class for preschool, and Student provided no evidence at hearing that the District should have offered him placement in an SDC at the time of his February 19, 2008 IEP. Since the District does not operate a general education preschool, Mother enrolled Student in a Head Start general education preschool class. The Head Start program is not run by the District. 42. At some point after Student began receiving speech and language services at Columbus, someone at the District informed Mother that the District planned to start having an SLP go directly to the Gallotin Head Start preschool to provide speech and language services to District special education students who were attending that preschool. Although not exactly clear from the testimony at hearing, it appears that the District intended to start doing this in the fall of 2008. Student was not enrolled at Gallotin. However, it would be more convenient for him to receive his speech and language services at his preschool because Mother would not have to transport him from his school to Columbus High School. Mother therefore withdrew Student from his initial Head Start program and enrolled him at Gallotin sometime around the fall of 2008. 43. The District did not follow through with its earlier decision to provide speech and language services at Gallotin. 44. Mother had a more difficult time arranging for Student and his brother to attend speech and language therapy at Columbus once they began attending Gallotin. Gallotin was farther away than the original preschool, and further away from Student’s grandmother’s home. Student’s grandmother often provided childcare for him. 45. Although Student had attended speech and language sessions fairly regularly during the spring of 2008, his attendance was more sporadic during the fall of 2008. In addition to Mother’s difficulties in transporting Student to Columbus, there were difficulties during the sessions as well. At first, the District provided the therapy to Student at the same time it provided it to his brother. However, the boys were not very attentive or focused during the group sessions, and would tend to play with each other rather than participate in the therapy. Therefore, the District, through SLP Janet Cross, decided to provide the therapy individually to each boy. That meant that Student had to wait with Mother while his brother received his therapy. Student had a hard time waiting during his brother’s sessions. Mother had to constantly control him because he became bored and restless. Additionally, there was no shade outside the room where the speech and language therapy took place. Because of all these factors, Mother only sporadically brought Student to his speech and language therapy during the fall of 2008. 46. At some point, Ms. Cross offered to change the time of the speech and language sessions in order to help Mother access them. This apparently did not resolve Mother’s difficulties with accessing the sessions for Student. 47. Other than discussing some of the difficulties with Ms. Cross, Mother did not contact any other District staff member or member of Student’s IEP team to discuss her issues regarding Student’s speech and language sessions. Mother did not request an IEP meeting to change the location of Student’s speech and language services. She did not formally inform the District that she was changing Student’s preschool or that she expected to now receive speech and language (and ELD services) at Gallotin. Mother did not ask for an IEP meeting to discuss alternatives to having Student’s speech and language sessions at Columbus, or to discuss the other difficulties she has having regarding Student’s inability to wait during his brother’s therapy. Student’s IEP continued to state that he would receive services at Columbus. The District continued to be ready, willing, and able to provide Student with his speech and language services pursuant to his IEP for calendar year 2008. 7 Ms. Cross is an SLP licensed by the State of California. She has been with the District for 24 years. Her duties include providing direct speech and language services to preschool aged children, keeping records, supervising other SLP’s, and conducting assessments. 48. Student contends that the District failed to provide him with the ELD services indicated on his February 19, 2008 IEP. Student contends that ELD should have been provided separately from his speech and language therapy. 49. At the IEP meeting of February 19, 2008, Ms. Alcan and Ms. Cross explained to Mother that ELD would be provided as part of Student’s speech and language therapy sessions. ELD is a language intervention offered to both special education and general education students who have English language deficits due to being bilingual or English language learners. It is not specifically a special education service or instruction. 50. At hearing Mother did not recall being told that Student’s ELD would be integrated into his speech and language therapy. However, Ms. Alcan and Ms. Garcia both stated that it was explained to her. Both Ms. Garcia and Ms. Alcan were forthright and credible witnesses. While Mother too was a credible witness, her testimony is less persuasive for a number of reasons. First, her recollection about Student’s enrollment with the District and his initial IEP process was very sketchy. As stated above, she could not recall what documentation the District initially gave her or what she filled out. She could not recall if and when she received copies of procedural safeguards and could not recall the Student’s initial assessment process. Her recollection of the initial IEP meeting was also imprecise. This is understandable given the almost four years between the time she first contacted the District about Student’s special education needs and the date of the hearing. Ms. Garcia and Ms. Alcan’s recollections were more detailed. 51. Additionally, Mother did not take any steps to contact the District to ask it why Student was not receiving ELD sessions. If she truly thought that it was supposed to be a separate service, the logical thing to do would be to determine why the service was not being provided and demand that it be instituted according to her understanding of Student’s IEP. Since Student was not attending a District preschool, Mother was well aware of what services were being provided to him since she was the one transporting him to each speech and language session. Mother never contacted the District about this issue. It is clear that the intent of the IEP was that ELD was to be provided to Student as part of his speech and language therapy. As with Student’s speech and language therapy services, the District was ready, willing and able to provide the ELD as part of the speech services. Student did not receive any of the services because of Mother’s decision to forego the services that were offered to him. 52. Finally, even assuming that the District was required to provide separate ELD sessions to Student and did not, Student has failed to provide any evidence whatsoever that he required the services and suffered a loss of educational benefit because he did not receive them. The only evidence presented regarding Student’s abilities in English was that English and Spanish were spoken in Student’s home, but Student was more comfortable in English. His parents spoke English to him, he speaks in English most of the time, and he only spoke in English during spontaneous language observations while he was assessed by Ms. Garcia and Ms. Alcan. Student provided no evidence that he had deficits in English language skills based upon his exposure to Spanish. Rather, his speech and language needs are due to his deficits in his receptive and expressive language skills, which were to be addressed through the speech and language therapy offered by the District in Student’s IEP. 53. Because of the difficulties Mother had with Student’s speech and language sessions, she ceased bringing him to Columbus High School for his therapy by the beginning of 2009. She did not contact the District to tell them she was not going to access the sessions or to discuss her difficulties, nor did she request an IEP meeting to try to make other arrangements for Student to receive the services. As stated above, the District was ready, willing, and able to provide Student with speech and language therapy and ELD instruction. The fact that Mother chose not to bring Student to the sessions does not equate to a failure by the District to implement Student’s IEP. Because Student was not attending his therapy sessions, there was no progress for the District to report to Student’s parents and therefore no reason to send them progress reports. 54. District policy with regard to preschool special education children is to first contact parents by telephone to get an agreeable date and time for IEP meetings. Once telephone contact is made, the District then sends a written invitation to confirm the IEP date. In January 2009, both Ms. Alcan and Ms. Cross telephoned Mother to set up a time for Student’s annual IEP meeting in February. Ms. Alcan called at least three times. Ms. Cross also called a few times. They were unable to reach Mother at first and Mother did not return their phone messages. Ms. Cross, who was Student’s case manager, did not want to hold an IEP meeting without Student’s parents. Therefore, she did not unilaterally set the meeting and hold it without them. 55. Mother finally returned Ms. Alcan’s call sometime in March 2009, a few weeks after Student’s annual IEP meeting was due on February 19. Mother told Ms. Alcan that it was difficult for Student and his brother to attend their speech and language sessions. She said that they would, therefore, probably not attend any more, even if the time of the sessions was changed. 56. Ms. Alcan then brought up with Mother the fact that Student had had an annual IEP due in February. She provided several possible dates and times to Mother for the meeting, but Mother said that she preferred to wait until the end of the school year to address Student’s IEP. Ms. Alcan agreed to postpone the IEP meeting. The District contacted Mother sometime in June to arrange a mutually agreeable date and time for the meeting. The IEP meeting was thereafter held on June 15, 2009. 57. Contrary to Student’s contentions in his closing brief, the testimony of both Ms. Alcan and Ms. Cross was honest and convincing. They both have significant professional experience as SLP’s with the District, have worked extensively with preschool children, and answered all questions at hearing in a forthright manner. Their testimony was consistent with that of other witnesses, and consistent with the documentary evidence. Student presented no evidence to dispute their testimony that Ms. Alcan and Ms. Cross attempted to contact Mother, that she did not return their phone calls until around March 2009, or that Mother wanted to wait until June to hold Student’s annual IEP meeting. 58. Nor did Student present any evidence to show that either Mother’s or his rights were impeded by the fact that the District held Student’s IEP meeting four months after it was due. Mother had already made the decision to stop taking Student to his speech and language sessions. She did not testify to the contrary. Nor did she testify that holding the meeting earlier would have provided Student with any educational benefits in the months between February and June 2009. As will be discussed below with regard to all procedural violations alleged by Student, while he may have demonstrated that a technical violation occurred, Student presented no evidence whatsoever to demonstrate the substantive impact on his rights or those of his parents due to any alleged procedural error on the District’s part. 59. The District convened an IEP meeting for Student on June 15, 2009. In attendance were Mother, Ms. Alcan, and Ms. Cross. Ms. Cross was present as the provider of Student’s special education services since he had no other special education teacher. Bother Ms. Cross and Ms. Alcan are SLP’s. They do not have training as occupational therapists and there was not occupational therapist present at this meeting. The District did not invite a general education teacher to the meeting. However, Student presented no evidence whatsoever as to how the procedural violation of failing to have a general education teacher present at the meeting substantively impacted his rights or the rights of his parents. Mother participated fully in the IEP meeting, and the team ultimately decided to place Student in a general education Kindergarten class. Student presented no evidence that any decision by the team would have been different if a general education teacher had been present at the meeting. Nor did he present any evidence that he lost any educational benefit due to the lack of input from a general education teacher at the time the meeting took place. 60. The focus of much inquiry at hearing was whether this IEP meeting was an annual meeting or an addendum to Student’s initial IEP of February 19, 2008. There is no question that the meeting was also a transition meeting for Student as he was scheduled to begin Kindergarten in September 2009, and the IEP document Mother received indicates this. However, the IEP document that Mother received after the June 15 meeting only has the box entitled “Addendum” checked off; it does not have the box for “Annual Review” checked. On the other hand, the IEP document maintained in Student’s official file has the “Annual Review” box checked. The District’s official IEP document also has other differences: it gives the street name for what became Student’s new address since Student’s family moved sometime after the IEP meeting to another location that was still within the District’s boundaries; it has Student’s former school of residence crossed off and his new school of residence written in; and it includes something identified as a “CSIS” number, which was not on Mother’s copy of the IEP. However, these are the only changes and none of the substantive portions of the IEP have been altered in any way. 61. Mother did not receive a copy of the IEP that is in Student’s file until she filed for due process hearing in this case. Neither Mother nor any of the witnesses who testified at hearing know who made the changes and who placed the new version in Student’s file. 62. Because the box for “Annual Review” was not checked off, Student argues that the June meeting was not an annual review. However, Student is emphasizing form over substance. Ms. Cross testified that she informed Mother that the meeting was an annual review for Student. She admitted at hearing that she had forgotten to check off the appropriate box at the IEP meeting, and she acknowledged that she was the one who gave the copy of the IEP to Mother and that it was not the one now in Student’s official file. She also candidly acknowledged that she had never seen the version of the IEP now in Student’s file before the hearing. As stated above, Ms. Cross was a credible and forthright witness who did not evade questions or appear to dissimulate facts or events during her testimony. Given the scope of this IEP meeting, as discussed more below, there is no doubt that it was intended as the 2009 annual IEP meeting for Student as well as a meeting to discuss his transition to Kindergarten. The team discussed Student’s present levels of performance, his goals, his unique needs, and his placement options. The team covered all aspects of an annual IEP meeting. Student has not provided any evidence to the contrary. Nor has Student given any persuasive argument that failing to check off the “Annual Review” box on the IEP form affected his rights or those of his parents. 63. Mother received a copy of the procedural safeguards and an explanation of them at the beginning of the IEP meeting. She indicated this by initialing the IEP document to that effect. She does not contest otherwise. 64. The IEP team reviewed Student’s present levels of performance in the areas of his strengths/interests/learning preferences, pre-academic/academic/functional skills, cognitive ability, communication development, social/emotional development, health, prevocational and vocational skills, and self-help. Since Student had not attended very many of his language sessions, and had not attended at all for at least four or five months prior to the June 15, IEP meeting, Student’s present levels were primarily obtained from Mother and, indirectly, from Student’s preschool Head Start teacher who had provided Mother with information about Student’s progress in her class. 65. Mother informed the other IEP team members that Student would be attentive at school when doing things he liked, but that his attention span was much shorter with nonpreferred tasks. Mother acknowledged that Student’s speech and overall communication abilities had improved significantly. She indicated that Student’s receptive vocabulary was “excellent.” Student was able to follow directions and to answer “where” and “what” questions, but sometimes needed re-direction. Mother indicated that Student had good play skills, was able to take turns, and demonstrated eye contact. Although he used to tantrum and hit when frustrated, Mother indicated that he was now using phrases like “I mad at you” and “I your friend” to express his feelings instead. Mother indicated that Student was in good health and that there were no concerns about his vision or hearing. She also indicated that Student helped with dressing himself but still could not put on his socks. 66. Although she still felt Student was behind where he should be with his speech and language skills, Mother acknowledged that Student was improving in the area of communication. She also stated that she wanted Student to be able to focus more. However, the primary concern about Student that Mother expressed at the IEP meeting was with his fine motor skills. Student still scribbled and did not hold a crayon correctly. Mother had been working on these skills with Student at home, but had not seen any progress. 67. Mother’s primary concern was that Student’s fine motor skills were substantially deficient. She explained to the IEP team that in spite of the fact that Student had been attending preschool for almost two years and in spite of the intensive work she was doing with him at home, Student did not appear to have made much progress. He still scribbled and did not hold a crayon correctly. Based upon Mother’s concerns, the District staff suggested that one of its occupational therapists conduct an occupational therapy (OT) screening of Student once he started Kindergarten in the fall. The screening would determine if he was evincing at school any of the fine motor deficits Mother saw at home, and whether a formal OT assessment was warranted. The District would then hold an IEP meeting in October to review the screening. Although she wanted the District to do an OT assessment as soon as possible, Mother agreed to the proposal. As discussed below, the District did not have the OT screening done until December 1, 2010, three months after Student started Kindergarten. It also failed to convene an IEP meeting in October as it indicated it would at the June 15 IEP meeting. 68. Mother provided no other information to the IEP team that would have put the District on notice that Student had any other suspected area of need that should have been assessed at that time. Mother did not inform the District that Student had had behavioral issues in his preschool class that would have warranted a behavior support plan or a behavior assessment. Mother stated that Student’s vision and hearing and general health were good so no further assessments in those areas were warranted either. Nor was there any indication that Student, a transitioning Kindergarten student whose only known deficit in speech and language had improved significantly, required assistive technology to access his education. Student did not provide any evidence at hearing that Student had deficits in other areas in June 2009 or that the District should have suspected that he did. 69. The IEP team, including Mother, reviewed Student’s goals from his last IEP. Based upon Mother’s input, the IEP team knew that Student’s speech and language skills were improving. However, since Student had not been attending his speech and language sessions, the IEP team could not determine if he had met any of his goals. Ms. Cross and Ms. Alcan felt that it would not be appropriate to write new goals because there was no evidence Student had met the previous ones. They, therefore, decided that they would retain Student’s previous goals for the time being. They explained that it was not necessary to recopy the goals and attach them to the new IEP. Based on District practice, any teacher reviewing a student’s IEP would know to look at the prior IEP for the goals if they were not integrated into the newer IEP. 70. Although Student contends that the District erred by not developing new goals for him, he failed to present any evidence at hearing as to whether he had met his prior goals, or why his previous goals were no longer appropriate for him. Nor did he present any evidence at hearing, or even address the issue, of what other goals the District should have developed for him at the time of this IEP. 71. The IEP team also discussed educational placements for Student. The team discussed whether Student should be placed in general education or in a general education class with supports. The team also discussed related services (also called designated instruction and services) that Student might need. There was no evidence at this time that Student could not access his education in a general education Kindergarten. Mother provided no information to suggest that a general education placement without supports was inappropriate. The IEP team, therefore, recommended that Student attend Kindergarten at his home school in a general education class. 72. The IEP team also found that Student continued to qualify for special education as speech and language impaired, and that he continued to need speech and language services to address his deficits in that area. The District provides speech and language therapy to children attending school on a pull-out basis, which decreases classroom time. Because the District Kindergarten program is only 200 minutes a day, and because a Kindergarten curriculum and the environment itself are language-based and language rich, the IEP team determined that it would be appropriate to decrease Student’s speech and language sessions from two, 50-minute sessions a week, to two, 20-minute sessions a week. The District IEP members, who were both experienced SLP’s, believed that it would not be productive to remove Student from his Kindergarten class for 100 minutes a week. 73. Mother agreed to the decrease in speech and language services. Although she testified that she thought the District was going to “make-up” the lost minutes with occupational therapy services, the weight of the evidence indicates that her recollection of the meeting was imprecise. Both Ms. Alcan and Ms. Cross testified that there was no discussion of exchanging speech and language services for OT services, and that the District would never suggest doing so. If a student needs a service, he is provided with it, and is not required to exchange time in one service to receive another. Mother’s imprecise recollection is supported by the fact that the District did not offer OT services during the June 15 IEP meeting and, in fact, had not determined whether Student required them at all. There was, therefore, nothing to “exchange.” The District recommended decreasing Student’s speech and language services because Mother indicated that his speech and language skills were improving and because it did not want to pull Student out from his Kindergarten class any more than was needed to address his deficits. 74. In any case, Student failed to present any evidence whatsoever at hearing that he required more speech and language services than the 20 minutes, two times a week, which was provided to him under the June 15, 2009 IEP. Mother was the only non-District witness called by Student in his case at hearing. During her testimony, she did not address whether Student required more speech and language services than what was offered at the time. Even had she addressed the issue, there is no evidence that Mother is an SLP or other educator qualified to determine how much speech and language services a child with speech deficits requires. 75. The District’s offer of speech and language services is discussed in the notes to the June 15 IEP and is clearly indicated on the first page of the IEP document in the section entitled “Program Options/Instructional Settings Provided.” Likewise, Student’s ELD services are clearly indicated on the special factors page. There is no ambiguity about the offer of FAPE the District made to Student in this IEP. 76. Student started Kindergarten in September 2009. He was placed in Kristy Overturf’s 8 general education class at Rio Honda Elementary school. The class had approximately 30 students and lasted 200 minutes per day. A classroom aide was also assigned to the class. The class curriculum was based upon California standards for Kindergarten and emphasized communication skills, academics, and fine motor skills such as holding writing utensils and using scissors. Student received his speech and language therapy sessions on a pull-out basis during Kindergarten pursuant to his IEP. He received ELD during that time as well. Ms. Overturf was aware that Student had an IEP since it was in his file, which she had reviewed. 77. Student unexpectedly began having problems from the beginning of the school year. He was often disruptive. He would wander around the classroom, sometimes crawl over other students, and talk to them when they were supposed to be working on a task. Student would sometimes hit other students. He was not attentive and was not focused. He would also sometimes make inappropriate noises or start singing. Ms. Overturf sent Student to the principal’s office a number of times because of his behavior. She contacted Student’s parents often to discuss his behavior and things he should be working on. 8 Ms. Overturf has been a credentialed teacher for eight years and has been employed with the District the entire time. 78. Because of their concern regarding Student’s behavior in class and its potential impact on his learning, Student’s parents requested that the District administer a psychoeducational assessment to him. The District prepared an assessment plan dated September 29, 2009, that included proposed assessments in the area of cognitive development and learning potential, academics, adaptive behavior, and social/emotional. The assessment plan indicated that a school psychologist and a specialist teacher would administer these assessments, which would consist of standardized tests, observations, and interviews. 79. Student’s June 15 IEP also indicated that the District would have an occupational therapist do a screening assessment of Student to determine if he had any occupational needs that warranted an assessment. A screening would consist of observations and interviews. However, the September 29 assessment plan indicated the OT assessment would consist of standardized tests in the area of psycho-motor development and perception. There was no reference to observations and interviews with regard to the OT portion of the assessment plan. Mother gave her consent to the assessments by signing the parent consent for assessment form on September 29, 2009. Mother believed that she was giving consent to a full OT assessment because the assessment plan indicated that standardized tests would be administered. 80. School psychologist Wendy Carey 9 administered the psycho-educational evaluation to Student. Her findings are discussed in a report dated November 12, 2009. 81. Ms. Carey interviewed Ms. Overturf as part of the assessment. Ms. Overturf informed her that Student had an interest in school but that he worked best with one-to-one adult assistance. He did not complete work in class or participate in class discussions. Student had difficulty participating in whole group activities, demonstrated a lack of focus, weak fine motor and communication skills. He needed constant redirection and assistance to complete tasks. Student also wandered around the room and appeared to have difficulty relating to the other children. He would bump into them, did not respect their personal space, would climb over them and was disruptive in class. 82. Ms. Carey conducted an observation of Student in his classroom setting. Her observation mirrored the information about Student’s classroom behavior provided to her by Ms. Overturf. She also noted that Student had difficulty with fine motor skills such as closing scissors. Ms. Carey also observed Student during the assessment process. She noted that Student’s speech and articulation were poor. He made sound substitutions, left off syllables, and used incorrect grammar. 9 Ms. Carey has a master’s of science degree in school psychology, is a behavior intervention case manager, obtained her pupil personnel services credential as a school psychologist is 1997 and was licensed as an educational psychologist in 2004. She has worked as a school psychologist since 1997 and has been employed with the District since 2008. 83. Due to Student’s short attention span, Ms. Carey administered her assessment to him over two sessions. The first test she administered was the Southern California Ordinal Scales of Development (SCOSD) which helps determine a student’s current levels of cognitive functioning. The test breaks levels into pre-conceptual thought stages. Student was able to complete most of the tasks at level stage one. He also was able to complete some of the tasks at level two, which indicates cognitive levels of four to seven years of age. Based on Student’s performance on the SCOSD, Ms. Carey estimated that Student’s cognitive abilities fell in the low average to average range. 84. Ms. Carey also administered the Kaufman Assessment Battery for Children – II (KABC-II) to Student. Student’s standard scores on this assessment ranged from a low of 74 in sequential processing, to a high of 107 in simultaneous processing. His scores in learning, knowledge, and fluid/crystallized index were 81, 85, and 85, respectively. 85. Ms. Carey administered the Bender Gestalt II to assess Student’s visual-motor integration. This test is used to assess the degree to which visual perception and finger/hand movements are coordinated. Although Student received a standard score of 86, which is in the low average range, Ms. Carey noted that Student held his pencil with an awkward grip, that his designs collided and overlapped, and that some of his designs received no scores because they did not resemble the original drawing. Ms. Carey therefore concluded that Student’s visual-motor integration skills might be weaker than his scores indicated. 87. To assess Student’s social/emotional functioning at school, Ms. Carey had Student’s teacher, Kristy Overturf, complete the Behavior Assessment System for Children-II (BASC-II) and the Preschool Teacher Rating Scale (PTRS). On the BASC-II, Ms. Overturf scored Student in the clinically significant range for hyperactivity, aggression, atypicality, withdrawal, and attention problems. She scored him in the at-risk range in the areas of anxiety, somatization, adaptability, social skills, and functional communication. Ms. Overturf only scored Student as average in the area of depression. On the PTRS, Ms. Overturf scored Student as clinically at-risk in the areas of internalizing problems and adaptive skills and clinically significant in the areas of externalizing problems and in the behavioral symptoms index. 88. Ms. Carey also had Ms. Overturf complete the Early Childhood Inventory-4 Teacher Checklist (ECI-4). This assessment is a behavior rating scale which screens for emotional and behavioral disorders in children aged three to five. The ratings indicated that Student demonstrated symptoms of attention deficit hyperactivity disorder (ADHD) often enough to warrant concern. He exhibited 17 out of 18 symptoms of ADHD very often. Student also demonstrated a high probability of oppositional defiant disorder (ODD); his score of five surpassed the criterion score of four to fall within the parameters of possibly having ODD. The factors he demonstrated for ODD included losing his temper, defiance or refusing to do what he is told, doing things to deliberately annoy others, blaming others for his own misbehavior, and becoming easily annoyed with others. 89. Although Student’s scores on the Autism portion of the ECI-4 indicated that he might have autistic-like behaviors, Ms. Carey found that he did not demonstrate the extreme withdrawal, self-stimulation, ritualistic behavior, and preoccupations generally associated with a diagnosis of Autism. She also noted that Autism had been ruled out as a diagnosis for Student by the Regional Center in 2007. 90. The final portion of Student’s psycho-educational assessment was a Kindergarten readiness assessment administered by a District resource specialist teacher named Suzan Wilson. She utilized the readiness section of the Brigance Diagnostic Comprehensive Inventory of Basic Skills-Revised. Ms. Wilson reported that Student was able to identify eight of 12 colors, select the non-matching shape in a small grouping, identify 13 of 26 uppercase letters and 18 of 26 lowercase letters, and identify some numbers from one to 10. Student was also able to count to 13 and was able to write numbers six, seven, and eight in a recognizable fashion. 91. Based upon Student’s performance on all portions of his psycho-educational assessment, Ms. Carey recommended that Student’s IEP team consider finding him eligible as other health impaired due to his significant deficits in attention and due to his hyperactivity, both of which were interfering with his ability to access his education. She recommended that Student receive simplified instruction and that tasks be presented in segments. Ms. Carey further recommended that incentives be used to stimulate Student’s performance, that visual schedules and consistent routines be implemented for him, and that visual and kinesthetic learning techniques be utilized whenever possible. 92. Student presented no evidence at hearing that Ms. Carey’s assessment was not properly administered or that her findings and recommendations were inappropriate or failed to address his needs. 93. Student contends that the District should have administered an OT assessment to him after being informed by Mother of Student’s fine motor deficits at his June 15, 2009 IEP meeting. Student has substantially met his burden of proof on this issue. As discussed above, Mother provided sufficient information to the IEP team, based upon her conversations with Student’s preschool teacher and based upon her observations and work with him at home, that fine motor deficits were an area of suspected need for Student. Based upon Mother’s information, the difficulties Ms. Overturf noted Student had with his fine motor skills when he started Kindergarten, and Ms. Carey’s observations during her assessment that Student had great difficulty with writing and other fine motor skills, it is clear that Student had significant fine motor deficits and that the District had more than enough notice that an OT assessment was warranted. Rather than administer the OT screening which Ms. Nguyen was directed to do, the District should have administered a full OT assessment at that time. 94. Ms. Nguyen’s OT screening inexplicably was not done until December 1, 2009, some three months after Student had started Kindergarten and more than 60 days after Mother signed the assessment plan. Her screening consisted of an observation of Student in his classroom. Ms. Nguyen noted that Student demonstrated delayed fine and visual motor skills. He had a difficult time attending and staying seated, and, at one point, began spinning and twirling during a group activity. Student did not hold his pencil properly. He had difficulty forming his letters and did not demonstrate a “start/stop” point when writing some of the letters. He used both hands to rotate his pencil when erasing, had difficulty with letter spacing and line placement, and scribbled when using crayons. Student also demonstrated decreased bilateral coordination for cutting activities. Ms. Nguyen concluded that Student demonstrated delayed fine and visual motor skills. She recommended that he receive a full OT assessment to determine if he would benefit from OT services. 95. However, as stated above, the weight of the evidence substantiates a finding that the District should have administered an OT assessment to Student rather than offering him the OT screening. The District did not offer the assessment until Ms. Nguyen completed the screening. The District then sent another assessment plan to Parents. However, as will be discussed below, neither of Student’s parents signed the assessment plan because of a dispute between the parties as to whether consent could be given by means of a letter from Mother’s attorney. The District took the position that such consent was not legally adequate and therefore did not administer an OT assessment to Student until Mother herself signed a statement giving consent for the assessment. 96. Ms. Nguyen then assessed Student in late summer and early fall 2011. She found him eligible for OT services due to decreased hand strength, difficulty with motor precision/control, and with visual motor skills, specifically for fine and visual motor tasks such as writing and cutting. After reviewing the results of Ms. Nguyen’s assessment in the fall of 2011, Student’s IEP team recommended that he receive two, 30-minute sessions of occupational therapy a week. 97. After Ms. Carey completed Student’s psycho-educational assessment, the District sent a notice of IEP meeting to Student’s parents. The meeting was noticed for November 17, 2009, well within 60 days from September 29, 2009, when Mother signed the assessment plan. 99. SELF’s November 20, 2009 letter to the District also instructed that other than routine notices from the school on matters such as an open house or school plays, or if Student had an emergency medical condition, any written and oral communication concerning Student, including but not limited to evaluations, assessments, IEP’s, placement, and even report cards, were to be directed to the law firm and not to Mother. Therefore, since that time, the District has not been able to communicate directly with Mother about any educational matter concerning Student. 100. Student’s counsel would not agree to meet for an IEP meeting concerning Student until February 5, 2010, rejecting each earlier proposed date as not convenient to either Student’s Mother or her attorneys. Discussion regarding Ms. Carey’s psychoeducational assessment was therefore delayed almost three months through no fault of the District’s. 101. Prior to the February 5, 2010 IEP meeting, Parents requested that the District administer a speech and language assessment to Student. The District readily agreed, assigning SLP Carey Smith 11 to complete the assessment. 102. Ms. Smith’s assessment consisted of a review of Student’s records, two observations of him in the classroom, and the following standardized tests: a) the Expressive One Word Picture Vocabulary Test (EOWPVT); b) the Receptive One Word Picture Vocabulary Test (ROWPVT); c) the Boehm Test of Basic Concepts (Boehm); d) the Test of Language Development: Primary, Fourth Edition (TOLD:P:4); and the Goldman-Fristoe Test of Articulation (GFTA). 12 Ms. Smith also took a language sample of Student. 10 Father did not appear at or testify at the due process hearing. 11 Ms. Smith has a master’s of science degree in speech-language pathology, is certified as an SLP in California, and has her national certificate of clinical competency. She has been an SLP for approximately six years . 104. For the EOWPVT, Ms. Smith showed Student one color picture at a time and asked him to identify the object he saw. Student’s standard score was 80, in the low average range for expressive vocabulary. 105. For the ROWPVT, Ms. Smith showed Student various strips of four color pictures at a time. She then asked him to show her the picture that best represented her spoken word. Student’s standard score on this test was 92, in the average range for receptive vocabulary. 106. The Boehm is designed to measure children’s mastery of concepts considered necessary for achievement in the first years of school. The child is asked to point to pictures that relate to space, quantity, or time; there is also a “miscellaneous” category. There are no standard scores for this test. However, there are averages and standard deviations for each grade level. Student’s score of 37 correct answers was well within one standard deviation of 39.8, which is the average score for Kindergarten children. 107. The TOLD:P:4 addresses the major components of language, identified as semantics, grammar, phonology and pragmatics. Ms. Smith only administered the subtests of this assessment that address language development. There are no standard scores for the TOLD:P:4. Rather, the test results are given in raw scores, age equivalents, percentile ranks, and scaled scores. Student scored in the average range on the picture vocabulary, relational vocabulary, and oral vocabulary subtests. He scored above average in syntactic understanding, but below average in sentence imitation and poor in morphological completion. Student’s scores on the latter two subtests were indicative of his inappropriate use of morphological word endings and his inability to properly answer on the morphological completion portion of the test. 108. The results of the TOLD:P:4 are also broken down into composite performances, which do follow standardized scales. The composite scores address listening, organizing, speaking, grammar, semantics, and spoken language. Student scored in the above average range in listening, in the average range for organizing, semantics, and spoken language, in the below average range for grammar, and in the poor range for speaking. The results of the TOLD:P:4 indicated that Student’s expressive language was more significantly delayed than was his receptive language. His results on the TOLD:P:4 were consistent with his results on the EOWPVT and ROWPVT. 12 The SLP providing services to Student at his school administered the GFTA to him and also took the language sample. 109. The GFTA measures errors in articulation. Student’s standard score of 99 placed him in the 39th percentile, within the average range for his age. His articulation errors included deleting some final consonants, and initial position substitution of other consonants. However, only final consonant deletion is considered abnormal at Student’s age. 110. Based on the language sample taken during a conversation with Student, Ms. Smith noted that although Student is capable of putting together lengthy chains of words, he will only utter one or two words at a time unless very excited about something. While Student’s speech was found to be 80 percent intelligible, he still was demonstrating difficulty with morphology and with appropriate syntactic structure. 111. Ms. Smith concluded that Student would benefit from language interventions to address his morphological understanding and to increase the length of his utterances. She also noted that he struggled to complete tasks if not given built-in breaks, visual augmentation of information, and a small group work setting. Because of the demonstrated discrepancy between Student’s receptive and expressive language skills, and due to his difficulty with some phonological processes, Ms. Smith recommended that Student continue to receive speech and language therapy. She also recommended that his educational setting include short work segments, built-in breaks, small group instruction, and visual enforcers and schedules. 112. The District convened an IEP meeting for Student on February 5, 2010. Attending the meeting were Student’s school principal as well as the principal at another school which had a program the District wanted Student’s parents to consider; Julie Helm, a former District program administrator for special education; Nancy Matthews; District’s counsel Eric Bathen; Mother; Student’s counsel Jennifer Guze Campbell; Jim Campbell and J. Wiley Campbell who are two educational advocates for Student from SELF; school psychologist Wendy Carey; SLP Carey Smith; a second SLP; occupational therapist Na Nguyen; resource specialist teacher Suzan Wilson; early intervention special class teacher Tracey Yanez; and Student’s general education teacher Kristy Overturf. All required IEP members were present. 113. Ms. Helm 13 chaired the meeting as the District’s representative. Before the meeting, she reviewed Student’s assessment reports and spoke with his teacher, principal, and his speech and language pathologist. Ms. Helm also observed Student in his classroom to get a better understanding of his needs since she had not been involved in his education before this IEP meeting. 13 Ms. Helm worked 31 years for the District before retiring at the end of the 2009-2010 school year. She worked first as a special education teacher, then as an elementary school vice-principal and finally as a program specialist. In addition to her teaching credentials and administrative services credential, Ms. Helm has a master’s degree from California State University-Los Angeles. 114. Ms. Matthews took comprehensive notes of what was discussed at the IEP meeting. 115. Ms. Helm first presented and reviewed procedural safeguards. Ms. Carey then reviewed her assessment with the IEP team. She reviewed all tests given as part of the assessment as well as Student’s scores and the conclusions of the assessment team. Ms. Campbell, Student’s attorney, asked whether any of Student’s behaviors and test results were indicative of a student on the autism spectrum. Ms. Carey replied that his behaviors were more indicative of the combined type of ADHD and that Student had symptoms of oppositional defiant disorder as well. One of Student’s advocates and Ms. Carey had a discussion of whether she had assessed Student in all areas of suspected disability; the advocate wanted her to also identify all of Student’s areas of disability. The District IEP members stated that they wanted to defer discussion of Student’s eligibility category until after the team reviewed all the assessment reports. 116. Ms. Smith then discussed her speech and language assessment. She reviewed all test instruments she had used and how Student performed on each test. She also discussed her conclusion and recommendation that Student continued to require speech and language services. Ms. Smith believed that Student would benefit from shorter therapy sessions due to his short attention span. Ultimately, she recommended Student receive three, 15-minute speech and language therapy sessions instead of the two, 20-minute sessions he was presently provided. The District IEP team members agreed with her recommendation. 117. Ms. Nguyen then discussed her OT screening of Student. She reiterated her observation conclusions that Student appeared to demonstrate delayed fine and visual motor skills and that he would benefit from a full OT assessment. 118. Student’s teacher, Ms. Overturf, discussed the end of the year academic expectations for Kindergarten students, including the fact that they are expected to work independently at times. She replied to questions from various IEP team members addressing class expectations and Student’s performance in the class. She noted that Student’s ability to complete a task was dependent on whether it was a preferred activity for him. 119. The team then discussed which special education eligibility category applied to Student. Ms. Helm opined that discussion of Student’s eligibility had to include how he was performing in the classroom. Ms. Carey indicated that the results of her assessment demonstrated that Student had a high level of inattention and hyperactivity which were impacting his ability to access his educational environment. The District IEP team members indicated that they believed OHI was the most appropriate primary eligibility category for Student, with speech and language impairment as a secondary category. The IEP team eventually agreed to adopt the District’s recommended eligibility categories. Student does not dispute his eligibility categories. 120. In addition to discussing Student’s present levels of performance based upon the results of his latest assessments and the OT screening, the IEP team discussed them in connection with proposed goals. The District proposed eight goals for Student in the areas of academics, pre-vocational and vocational skills, and language and communication. The goals were all based upon Student’s present levels of performance and included modifications and additions to his present levels of performance based on discussion among all IEP team members at the meeting. The goals were designed to address Student’s deficits, and were concrete and measurable. The District modified the goals, including performance expectations, based upon discussion at the IEP meeting, including input from Student’s representatives. Student presented no evidence that the goals were not properly developed or written, or that they failed to address all of Student’s unique needs. 121. The IEP team then discussed placement options for Student. Ms. Yanez described her SDC Kindergarten program. She explained that the students in the class had a variety of disabilities but that all were working on the Kindergarten curriculum albeit with visual supports, modifications, and breaking down of tasks. Her classroom also had additional adult support for the students. She worked on social skills with students and on teaching independence. Although her class followed the same 200 minute a day schedule as other District Kindergarten classes, she also had early and late class time available where students could meet in even smaller groups to work on social and academic skills. 122. The IEP team then discussed the benefits for Student of an SDC as opposed to placement in a general education classroom with supports. Ms. Helm, who had observed Student in his classroom, opined that she did not think Student had the skills to access a general education classroom at the time, even with support from an SLP and an occupational therapist. She felt that having an aide in a general education classroom would decrease rather than increase his independence. At hearing Ms. Helm stated that it was apparent Student did not have Kindergarten skills at that time because he had such a short attention span and his expressive language skills were considerably delayed. Ms. Helm was a very experienced special education professional. Her demeanor at hearing inspired confidence in her opinions. She was forthright and to the point. She convincingly explained why she believed that a general education classroom would not have met Student’s needs at the time of the February 5, 2010 IEP meeting. 123. The IEP team discussed a continuum of placement options for Student. The team discussed his present general education placement and why it was not meeting Student’s needs. It discussed a general education placement with one-on-one aide support, which was the preference of Student’s representatives. The team also discussed resource specialist support, related services that would benefit Student, and placement in an SDC class. School Psychologist Wendy Carey did not believe that Student would benefit from a resource program because it would constitute a maximum of 49 percent of Student’s school day. Student would have to be in general education at least 51 percent of the time. Ms. Carey believed that being in a general education classroom for that amount of time was too much of a distraction for Student. Ms. Overturf, Student’s teacher, agreed that her general education classroom was not appropriate for him. 124. Ultimately, the District offered Student placement as follows: a) placement in a highly structured, language-based SDC, first in Kindergarten and, for the following school year, in a similar first grade class; b) speech and language therapy three times a week for 15 minutes each session in a small group setting; c) participation in the extended school year program for special education students; and d) transportation to and from school if Student attended the SDC, which was not located at his home school. The District also offered Student an OT assessment. Student did not present any evidence at hearing that the SDC program the District offered was not appropriate for him, that a general education classroom would have been the least restrictive environment for him, that he required a one-on-one aide to access his education, that the speech and language services offered were inappropriate, or that the IEP the District offered was in any way legally deficient. 125. Mother chose not to participate at all during the IEP meeting. Rather, her representatives were the only ones who commented during the meeting or offered suggestions or input regarding Student’s IEP. Mother did not agree to the IEP proposals and therefore did not sign the IEP on the day of the meeting giving her consent. Additionally, Mother’s representatives would not permit her to sign the IEP document to indicate that she had received the procedural safeguards, that she had attended the IEP meeting, or that she had an opportunity to help develop the IEP. 126. Mother’s representatives informed the District that they wished to continue the IEP meeting to further discuss Student’s assessments and to discuss additional assessments. The District noticed a meeting for March 12, 2010, in response to this request. All required IEP members attended the meeting. 127. At the meeting, the District presented Student’s language and communication goals that his representatives had wanted to be re-written. In response to the input from Student’s representatives, the District split one of the draft goals into two separate goals so that one goal would specifically address Student’s morphological deficits. 128. Student’s advocate had a discussion with District IEP team members about whether Student should be assessed for autism although Student had no prior diagnosis in that area. Ms. Helm explained that the District could not diagnose Student with autism, although it could determine if a student exhibited “autistic-like behaviors” as defined in the California Education Code. 129. Student’s advocate also presented the District with a list of assessments that Student’s representatives were requesting for him. The list is almost six pages long and specifically describes the assessments requested, what type of test instruments the District should use, the specific sub-test areas to be assessed, and the type of observations to be included. In addition to school observations, Student requested observations in his home and when he was alone. The assessments requested were in the areas of: a) auditory skills; b) fine motor skills; c) gross motor skills; d) a functional analysis assessment (FAA); e) audiology; f) eyesight and vision; and g) assistive technology. 130. The District IEP team members indicated to Student’s advocate that the District would respond to the assessment request within 15 days. 131. Except for his fine motor skill deficits and the District’s failure to assess Student’s OT needs in a timely fashion as discussed above, Student presented no evidence at hearing that he required the other assessments he requested at the March 12, 2010 IEP meeting. Student presented no evidence that he exhibited any hearing or vision problems, and presented no evidence that he had auditory processing deficiencies or that there was a reason for the District to suspect that he might have them. He presented no evidence that his behavior in class was self-injurious or injurious to others or that instructional behavioral interventions would not be successful so as to warrant an FAA. Finally, Student presented no evidence whatsoever that he required assistive technology or that an assistive technology assessment was warranted. 132. The District IEP team members again discussed why they believed Student required placement in a highly structured classroom that would address his need for simplified instructions, short work segments, modified assignments at his present instructional level, built-in breaks and incentives, visual reinforcers and schedules, increased adult support, small group instruction throughout the school day, and a consistent routine. They explained that Student needed to develop compliance with adult directions, to increase his attention span, to learn to follow a classroom routine, and needed to acquire pre-academic and beginning academic skills. Student’s advocate indicated that Parents wanted Student to remain in a general education classroom with supports. Ms. Helm again explained that the District IEP team members believed that Student’s needs could not be addressed in a general education classroom due to his inattention, limited pre-academic skills, and inability to follow the classroom routine. Student’s advocates wanted to defer decision on Student’s placement offer until more assessments could be done. However, they gave no specific reasons why they did not believe an SDC class for Student was inappropriate or why a general education placement, even with an aide, would address his needs and allow him to access the curriculum. 133. Student’s advocate wanted to know if the District would provide counseling to Student to address his behavior issues. Ms. Helm, speaking for the District IEP team members, responded that Student’s behavioral issues did not require counseling. Student presented absolutely no evidence at hearing that he required any type of counseling during the time period covered by the instant case. 134. Mother did not agree to the IEP. Again, she would not even sign to acknowledge she had attended the meeting or that she had been offered a copy of procedural safeguards. 135. There is no persuasive evidence that the District prevented Mother or her representatives from participating in either the February 5 or March 12, 2010 IEP meetings. Mother’s lack of participation was of her own choosing. The evidence, through the IEP meeting notes and the credible testimony of District witnesses at hearing, supports a finding that Student’s advocates were given an opportunity to participate in the meeting. The District discussed all aspects of the IEP with them, asked for their input, made modifications and added a goal at their suggestions, and discussed placement possibilities with them. When Student’s advocate stated that Parents preferred a general education placement with supports for Student, the District demonstrated that it was ready to further discuss the issue by asking for specific reasons Parents did not approve of the District’s proposed offer of placement. Student’s advocate declined to enter into a discussion concerning why Parents were rejecting the placement offer or why they felt their requested placement would permit Student to access his education. The lack of further discussion, therefore, cannot be attributed to the District. 136. Student provided no persuasive evidence at hearing that the February 5 and March 12, 2010 IEP’s (hereafter collectively referred to as the March 12, 2010 IEP) were procedurally or substantively defective. Student provided no evidence whatsoever that the proposed goals, placement offer, and related services were not reasonably calculated to meet his needs and to provide him with meaningful educational benefit. 137. The main thrust of Student’s issues regarding calendar years 2010 and 2011 concern his contention that the District failed to implement parts of his March 12 and September 21, 2010 IEP’s, and failed to assess him after Mother gave consent to both IEP’s and to two different assessment plans. The District’s position is that it never received sufficient informed consent to enable it to either implement the IEP’s or to assess Student. 138. On March 15, 2010, Student’s attorney, Jennifer Guze Campbell, sent a letter to the District’s attorney stating that, on behalf of Mother, the law firm consented to the following aspects of the March 12, 2010 IEP: a) the description of Student’s disabling condition; b) the proposed speech and language services; and c) each of the proposed goals. 139. On March 22, 2010, Ms. Helm wrote to Ms. Campbell agreeing to: a) administer additional speech and language tests to Student; b) perform an OT evaluation as the District had previously offered; c) conduct an adaptive physical education evaluation; d) conduct a functional behavior analysis (FBA) to determine if Student needed a behavior support plan; and e) additional assessment to address whether Student was also eligible under the category of autistic-like behaviors. Ms. Helm indicated that all staff members who would perform the assessments were qualified to do so. She also explained that since there was no evidence that Student had any vision or hearing deficits that would warrant assessment the District therefore declined to conduct assessments in those areas. She explained that Student was not exhibiting the type of behavior that would warrant an FAA. Ms. Helm included an assessment plan for Parents to sign their consent. She also sent a copy of her letter and the assessment plan directly to both Father and Mother. 140. On March 25, 2010, Ms. Campbell wrote to Ms. Helm. In her letter she stated that SELF consented to the March 22 assessment plan on behalf of Mother. She did not make any reference to Father. Ms. Campbell did not include a copy of the proposed assessment plan with her letter signed by either Mother or any attorney from SELF. She did not include anything from Mother authorizing her attorneys to consent on her behalf or indicating that they had the authority to make determinations regarding Student’s education. She did not state that Father had authorized Mother or SELF to speak on his behalf. 141. There is no indication of any communications between the parties concerning the March 12 IEP or the March 22 assessment plan from March 25 to August 24, 2010. In response to an email from District’s attorney Mr. Bathen, Ms. Campbell wrote a letter to him stating that Mother, through her counsel, had consented to the assessment plan in Ms. Campbell’s letter of March 25. Ms. Campbell also included another copy of that letter but did not include a signed assessment plan. 142. The District convened an addendum IEP meeting for Student on September 21, 2010. All legally required IEP team members were present. Both Mother and Father attended the meeting. They were accompanied by their two educational advocates. By the time the meeting took place, Student had begun attending a general education first grade class at his home school since his parents had never consented to the District’s proposed SDC placement. 143. At the meeting, Student’s first grade teacher Heidi Kendle 14 discussed his progress in her class to date. She explained that Student could sit for 10 minutes, but only with re-direction, that he flailed his hands and shouted out at times that the work was too hard for him. Student was often out of his seat. His could only write some letters and numbers and had difficulty writing his name. His reading was at a “Pre A” level. 144. The IEP team discussed Student’s present levels of performance in the area of mathematics. Student’s math abilities were below Kindergarten level. Student’s advocate and his teacher had a discussion about Student’s deficits. Ms. Kendle informed him that Student needed help with reading, math, writing, and speech. 145. The District IEP team members, including its attorney, explained that no part of the March 12, 2010 IEP had been implemented because Parents had not consented to it. 146. Vonnie Casalegno, an SDC teacher, described the program in her classroom, which was structured much as was the Kindergarten SDC program the District had offered to Student in the March 12 IEP. Parents had moved since the March 12 IEP meeting. Although still residing within the District’s boundaries, they now had a different school of residence. Ms. Casalegno’s SDC class was located at Student’s new home school. The District offered Parents an opportunity to observe her classroom that day. 147. A District IEP team member asked Parents to clarify their concerns and what they wanted the District to help them. Student’s advocate discussed some of their concerns. 148. The meeting adjourned briefly so that Parents could observe Ms. Kendle’s classroom. After the meeting resumed, the IEP team discussed what Parents had observed. The meeting adjourned briefly so that Parents could speak privately with their advocates. When they returned to the meeting, their advocates and the District team members discussed the relative benefits of an SDC placement over a general education placement for Student. Ultimately, the District then modified its March 12, 2010 IEP offer by offering Student placement in an SDC class at his home school. All other portions of its offer remained the same. 149. Neither Parents nor their advocates requested that a discussion be held specifically on Student’s present speech and language levels, although his speech and language needs were briefly addressed in the context of the general discussion of his progress in first grade. Since the September 21 IEP meeting was an addendum to March 12 meeting, there was no legal requirement for the District to specifically review all of Student’s present levels of performance, develop new goals, or offer a new IEP. 14 Ms. Kendle did not testify at the hearing. 150. Neither Mother nor Father signed the IEP or initialed any part of it. 151. The District sent another assessment plan for Student dated November 23, 2010. The plan was emailed to Student’s attorney. The plan indicated that the District wished to conduct assessments in the areas of social/emotional, motor performance and physical fitness, psycho-motor development and perception, language/speech/communication development, and conduct FBA and an audiological assessment. By letter dated December 10, 2010, Ms. Campbell consented to the plan on behalf of Mother. Ms. Campbell did not sign the assessment plan itself and did not include a plan signed by Mother. 152. On December 17, 2010, the District’s attorney, Mr. Bathen, replied to Ms. Campbell’s letter. He reiterated the District’s position that it needed the parent/guardian to sign the assessment plan itself. He included another copy of the plan with his letter. 153. Neither Mother nor Mother’s attorneys ever signed either of the District’s proposed assessment plans or the March 12 or September 21, 2010 IEP’s. Neither Mother nor her attorneys ever clarified whether Mother or her attorneys had authority to consent on behalf of Student’s Father. Father also never signed either IEP or either assessment plan. 154. Student failed to present any persuasive evidence at hearing regarding what educational benefit he may have lost because the District did not implement his March 12 or September 21, 2010 IEP’s. Likewise, Student failed to present any evidence at hearing demonstrating that he required any of the assessments contained in the District’s March 22 or November 23 assessment plans, or that he suffered any loss of educational benefit because the assessments were not administered. Nor did he present any evidence of how his parents’ rights to participate in his IEP process were impeded because of the District’s failure to implement his IEP’s or administer the assessments. 155. Student has never contended that any of the assessments proposed by the District are inappropriate. Indeed, the District’s proposed assessments substantially mirror the assessments requested by Student at the March 12, 2010 IEP meeting. 156. Throughout the first few months of 2011, Mother, through her attorneys, continued to take the position that she had consented to the March 12 and September 21, 2010 IEP’s and to the March 22 and November 23, 2010 assessment plans based on the letters from Ms. Campbell to the District giving consent. Even though several copies of both assessment plans and both IEP’s were provided to Ms. Campbell and Mother, no one ever signed the plans or the IEP document. 157. The District continued to reiterate to Ms. Campbell that it needed a signature from a parent/guardian to begin the assessments and to implement the IEP’s. 158. Because of the dispute regarding consent, the assessments were not administered and the IEP’s were never implemented during the time period covered by this case. 159. Student failed to provide any convincing evidence at hearing that Parents’ right to participate in the IEP process was impeded, that his right to receive a FAPE was impeded, or that he was deprived of educational benefits because he was not assessed or because the IEP’s were not implemented. 160. The District’s first issue (identified as issue six above) basically asks whether it was required to implement Student’s 2010 IEP’s despite the lack of specific written consent from Student’s parents. As explained above, Student’s and Mother’s legal team took the position that Mother consented to the 2010 IEP’s (as well as to the 2010 assessment plans) through her attorney’s letters in which the attorney, as Mother’s legal representative, gave consent. As discussed below in the Legal Conclusions, the letter from Mother’s attorney did not constitute sufficient informed consent of both of Student’s parents. The District, therefore, was not required to implement Student’s March 12 and September 21, 2010 IEP’s or to administer the assessments detailed in the March 22 and November 23, 2010 assessment plans. 161. District’s second issue (identified as issue seven above) basically queries whether the District’s March 22 and November 23, 2010 assessment plans were appropriate and whether the District may assess Student in accordance with the plans even absent concrete consent from Parents. 162. District IEP members Julie Helm, Wendy Carey, Carey Smith, and Na Nguyen, credibly testified at hearing that Student had suspected deficits that warranted further assessment in 2010. As discussed above, Student’s Mother, through her representatives, had requested the District to administer numerous assessments to Student. The District’s March 22 and November 23, 2010 assessment plans cover the majority of the assessments that Student had requested. Student presented no evidence to counter the District’s assertion that its proposed assessments were appropriate. 163. An ALJ has broad discretion to remedy a denial of FAPE and may, among other things, order a school district to provide compensatory education or additional services to the student involved. Any such award must be based on a highly individualized determination. The ALJ may also make an award based on equitable considerations. 164. As set forth in Factual Findings 67 and 93-96, Student has proven by a preponderance of evidence that the District failed to assess Student’s OT needs in a timely manner. As discussed more fully below, Student is entitled to a remedy as a result of this failure. The ALJ shall order the District to provide Student with 20 hours of additional occupational therapy sessions to compensate him for the loss of OT services due to the District’s failure to perform an OT assessment at the start of the school year in September 2009. Student has failed to meet his burden of proof as to all other allegations and is therefore not entitled to any other remedies. 165. Since the District has demonstrated that Student’s parents did not give adequate consent to the March 12 and September 21, 2010 IEP’s, the District is entitled to an order that it did not fail to implement Student’s IEP’s at any time during the time period covered by this case. Additionally, the District has demonstrated that its proposed assessment plans dated March 22 and November 23, 2010, are appropriate and that Parents did not give adequate consent to them. To the extent that the assessments have not already been conducted, the District is entitled to an order that it may assess Student pursuant to those assessment plans without further parental consent. 1. The petitioning party has the burden of persuasion. (Schaffer v. Weast (2005) 546 U.S. 49, 56-62 [126 S.Ct. 528, 163 L.Ed.2d 387].) Therefore, Student has the burden of persuasion on issues one through five. The District has the burden of proof on issues six and seven. 2. Student contends that the two-year statute of limitations applicable to IDEA cases does not apply because the District did not provide Student’s mother with a copy of the procedural safeguards at Student’s initial IEP meeting on February 10, 2008. Student therefore contends that the instant case should encompass all issues raised in his due process complaint for calendar year 2008, even those that arose prior to October 8, 2008, when the two-year statute of limitations began based upon the filing of his first due process complaint on October 7, 2010. The District disagrees and contends that all of Student’s claims prior to October 8, 2008, are time-barred. As discussed below, the two-year statute of limitations bars Student’s claims prior to October 8, 2008, because Student has failed to prove an exception to the statute of limitations. 5. The Education Code was subsequently amended. The present version of Education Code, section 56301, subdivision (d)(2), as well as the version in effect during 2008, states that a school district is required to provide to parents a copy of their rights and procedural safeguards only one time a school year, except that a copy shall also be given to parents: A) upon initial referral or parental request for assessment; B) upon receipt of the first state complaint under Section 56500.2 in a school year; C) upon receipt of the first due process hearing request under Section 56502 in a school year; D) when a decision is made to make a removal that constitutes a change of placement of an individual with exceptional needs because of a violation of a code of pupil conduct in accordance with section 300.530(h) of title 34 of the Code of Federal Regulations; and E) upon request by a parent. 15 All references to the Code of Federal Regulations are to the 2006 edition. 7. Student argues that an exception to the statute of limitations applies because the District failed to give Mother a copy of the procedural safeguards at his initial IEP meeting on February 19, 2008. However, in 2008 the District was not legally required to provide parents with a copy of the procedural safeguards at IEP meetings. It was required to provide a copy upon initial referral or parental request for assessment. The testimony of Ms. Garcia supports a finding that Mother received a copy the procedural safeguards at the time she signed Student’s initial assessment plan. Additionally, although Mother said she did not receive a copy at the IEP meeting, she could not recall if the District failed to send her a copy at a later date. Student thus has failed to meet his burden of proof that an exception to the statute of limitations based on failure to provide a notice of procedural safeguards applied at any time. Student did not present evidence that there was any other information that should have been, but was not, provided by District. 16 Judge Alarcon, the author of the opinion in M.L., utilized a structural defect analysis in concluding that the failure of a general education teacher to participate in the IEP process denied M.L. a FAPE. 22. As stated in Factual Findings 54-58, Ms. Cross and Ms. Alcan attempted to contact Mother by telephone to arrange a date and time for Student’s 2009 annual IEP meeting. They each left several messages but Mother did not return the calls until March 2009, when she spoke with Ms. Alcan. Mother informed Ms. Alcan at that time that she was not going to bring Student to speech language therapy for the remainder of the school year because of her difficulty getting him to the class. Mother said that she would come to the school at the end of the school year for the IEP meeting. The District agreed to hold the meeting at that time. 24. The District’s decision to postpone the meeting was the better one, particularly given the lack of attendance by Student at his speech language therapy sessions. The District was attempting to comply with its obligation under Education Code, section 56341.5, subdivisions (a), (c), and (g) to ensure that a student’s parents attend IEP meetings, that the meetings be scheduled at mutually agreeable times, and that the District do whatever it can to ensure parent participation. It would be inequitable to fault the District under the circumstances of this case for not holding the IEP meeting in February 2009 without the presence of Student’s parents. 44. In order to determine the majority of issues Student has raised with regard to his education during calendar years 2010 and 2011, the underlying basis of Student’s allegations must be addressed. Basically, Student contends that the District failed to implement those portions of his March 12 and September 21, 2010 IEP’s to which his Mother consented. Student’s position is that letters from his and Mother’s legal counsel to the District was sufficient to give legal consent and that no signature on the IEP documents was required. Student makes the same contention with regard to the District’s March 22 and November 23, 2009 assessment plans. Conversely, the District contends that a letter from Student’s and Mother’s legal counsel giving consent does not equate to informed consent by Student’s parents to either the IEP’s or to the assessment plans. 47. Student first contends that the District did have informed consent to reassess him and to implement portions of his IEP’s because Mother consented through letters from her legal counsel. With regard to his assessments, Student argues in the alternative that the District should have assessed Student without his parents’ consent, deeming them to have “failed to respond” to the District’s efforts to obtain consent. 51. Additionally, the failure to sign the IEP’s and assessment plans created potential difficulty for the District had Mother decided to severe her relationship with present counsel and disavow their actions. 1. The District shall provide Student with 20 total hours of compensatory school-based occupational therapy sessions. The sessions may be provided either by a District occupational therapist or by a non-public agency, at the District’s discretion. The District has the discretion to determine if the OT sessions shall be given in a group or individual format and the discretion to determine whether the sessions will be given in one-hour or one-half hour segments, as long as the total compensatory sessions equal 20 hours. The District shall provide the sessions to Student during his school day. The District shall have one full year from the date of this decision to provide the 20 hours of compensatory OT to Student. The District’s obligation to provide Student with the compensatory OT sessions shall terminate if Student no longer attends a District school. 2. The District was not required to have implemented any portion of Student’s March 12 and September 21, 2010 IEP’s because Parents failed to give unambiguous, informed consent to their implementation. 3. To the extent that it has not already done so, the District may administer the assessments to Student proposed in its assessment plans dated March 22, 2010, and November 23, 2010, without the need to obtain consent of either of Student’s parents or of their legal representatives. 4. All other relief requested by the parties is denied. Education Code section 56507, subdivision (d), requires that this Decision indicate the extent to which each party prevailed on each issue heard and decided in this due process matter. Here, Student prevailed on a small portion of Issue 3(d), all of Issue 3(l), and a small portion of issue 4(a). The District fully prevailed on all remaining issues heard in this proceeding.